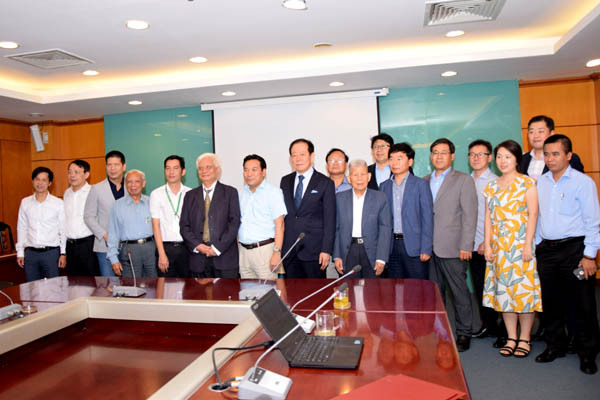 (VACNE) - In recent days, the delegation of the Forum for Humans & Environment of Korea (HEF) has came to Hanoi, to discuss solutions to coordinate with the General Department of Environment (MONRE) and the VACNE to organizise the program of selecting environmentally friendly technologies and products "ENVIPRO & TECH" and participated in other activities of the VACNE. 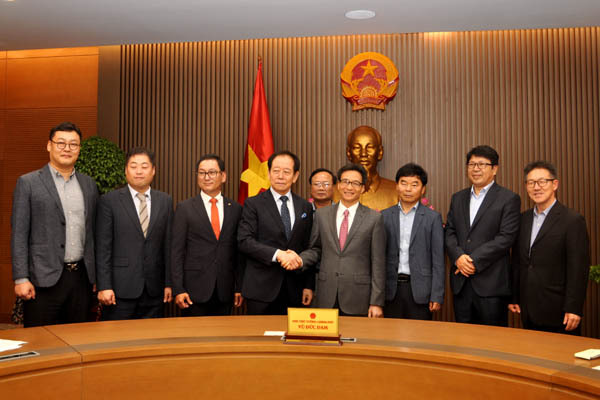 Prior to the talks, Mr. Jae Kon Shim, President of HEF and other Korean guests were cordially welcomed by the Deputy Prime Minister of the Socialist Republic of Viet Nam. 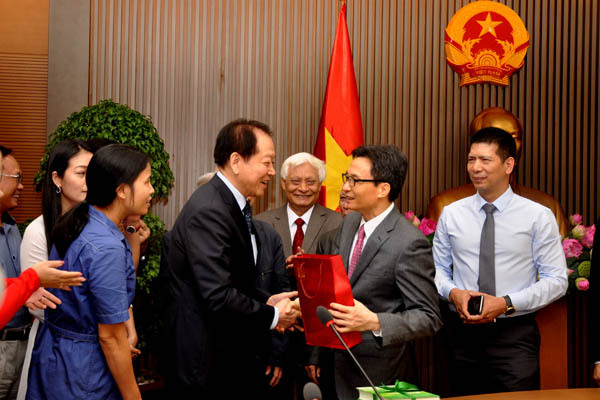 The talk between the HEF and VACNE took place at the Ministry of Natural Resources and Environment (MONRE) on December 7. Agreed in principle to coordinate implementation of the program between the three parties and is expected to deploy in 2019 in the spirit of voluntary service to the community. 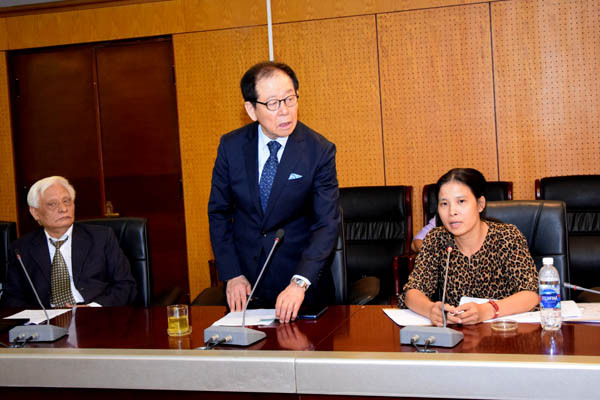 This is the connection operation of the Program "ENVIPRO & TECH - 2016" by VACNE and HEF organized and was supported by MONRE, with the aim of introducing and promoting the environment friendly products and technology of Vietnam and Korea. 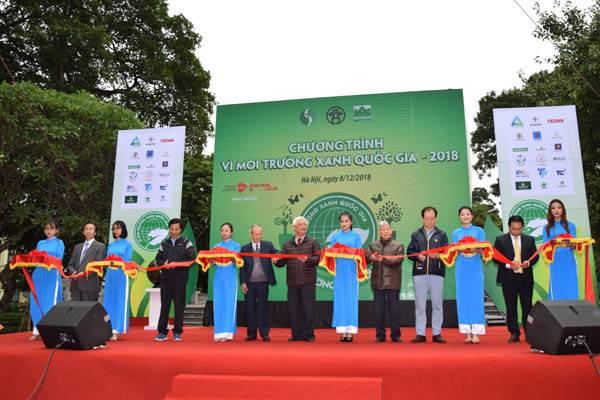 In Hanoi, the HEF delegation also attended the Opening Ceremony of the "Green National Environment Program 2018" organized by VACNE in collaboration with VEA and Food & Health Magazine on 8/12, at Ly Thai To flower garden, Hanoi. 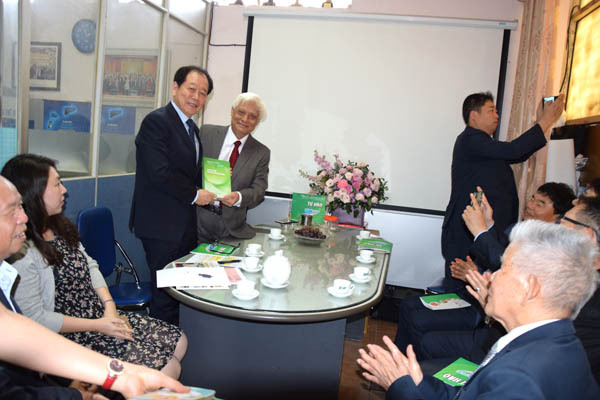 cut the ribbon for the opening of the "National Green Environment Program 2018"
The HEF delegation also visited the VACNE Office in Hanoi and discussed with the Association's leaders about the cooperation plan between the two sides in the coming time.